A world besieged by terror and hopelessness requires nations to acknowlege God's sovereignty. Two American flags on a field of light blue embrace the words, "One Nation Under God." 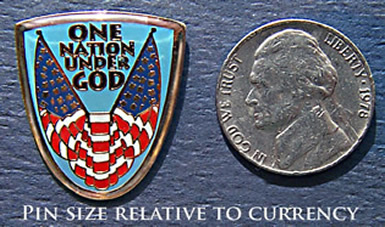 The pin, motto, and flag are outlined in gold.